We hope you are finally enjoying the summer as much as we are. Here at Jodel we have used all these rainy days to work on new features that make connecting with the student community around you even easier and faster. You have a lot to look forward to this fall. 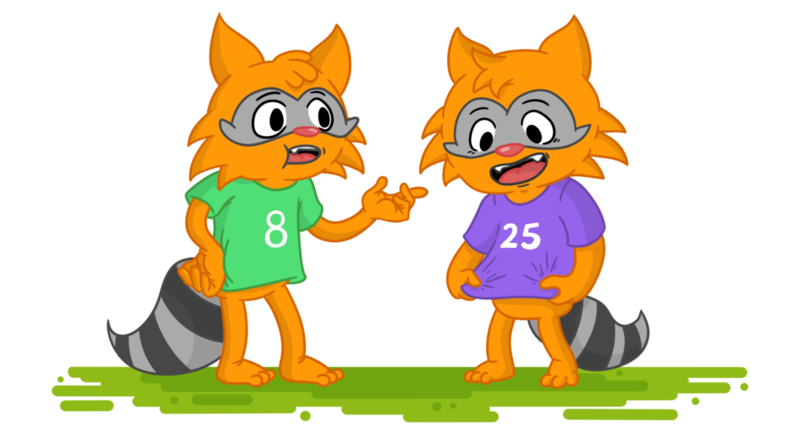 Today, we would like to introduce you to Jodel embedding. 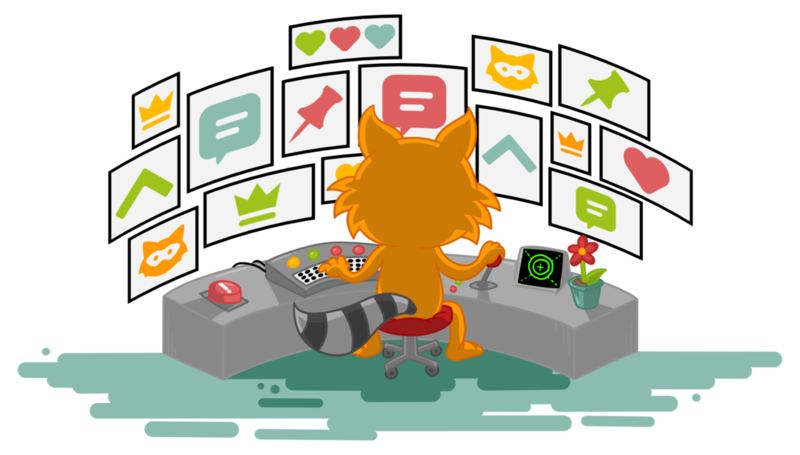 This next thing coming out of the orange raccoon’s factory lets you embed Jodels in your articles, blog posts or just in about any website. This is how it works: Start by tapping on the Share button on any Jodel post and proceed to share via e-mail or any application you can open from your desktop. From the web view, tap “Embed this post”. Now copy the code and adjust height and width to fit your need. Lastly, paste the code into your website and you are good to go. Instead of taking screenshots, embedding allows you to present both text or picture Jodels in a much better-looking design. You can also adjust the size of the embedded Jodels directly from the link. Your readers are now able to view a Jodel and then read its whole conversation by clicking the “Read this Jodel” button or by simply clicking on the comments. Lately, we have seen many more local Jodel stories to make national and international news headlines. That is why we hope Jodel embedding will help everyone who wants to share a popular story from their city with a broader audience. Sometimes we get asked what the hell we’re doing all day long ⛱. Among other fun things like jodeling all day long, we take care of financing our app. Believe it or not, this whole thing costs money. And as we are 100% dedicated to improving the experience on Jodel, we partner up with investors that currently finance our daily joy on Jodel. Now - two and a half years after launching Jodel - we are happy to announce that new partners support us with their love and expertise (and also €6M in capital 💰) in our mission: to let you instantly engage with the community around you. Firstly, the Silicon-Valley-based Floodgate team, whose former investments include Twitter, Twitch, and Lyft. Our partner Ryan is a former Techno DJ and Berghain regular 🏢 who is looking forward to finally having a Berlin based company in his portfolio. Secondly, Adam d’Angelo: CEO/founder of the knowledge platform Quora and former CTO of a social network called Facebook. Info to our most ambitious Jodelers: We do not give out his Kik account. Thirdly, the Kima Ventures team that after investing in Zenly and Yellow sees no ceiling in Mobile Local Social. For further investment opportunities, we’d like to propose the following ventures: https://youtu.be/J-GVd_HLlps. Last but not least, we also enjoy continuous support in this financing round from our previous partners: Rubylight, Global Founders Capital, and Atlantic Labs. So how will our journey continue after this? We are committed to developing a platform to discover, follow and participate in the most relevant conversations with people nearby. We will continue to roll-out features around that vision to create the locally most relevant and harmonical experience on our platform. We will keep spreading the joy of jodeling to continue to grow our community internationally. If you have non-Jodeler friends, invite five of them to download and use Jodel. We might send you a coupon. Thank you. Also, we are hiring! Check our openings on our jobs page or apply if you have serious experience in coding, growing, building or designing a community app by sending us your CV to jobs@jodel.com. We have just added Slideshow, a new discovery feature on Jodel that brings you all the latest, most commented and loudest pictures nearby in one place. With so many new Jodels posted every day, we have now made it possible to view a feed of just photos. 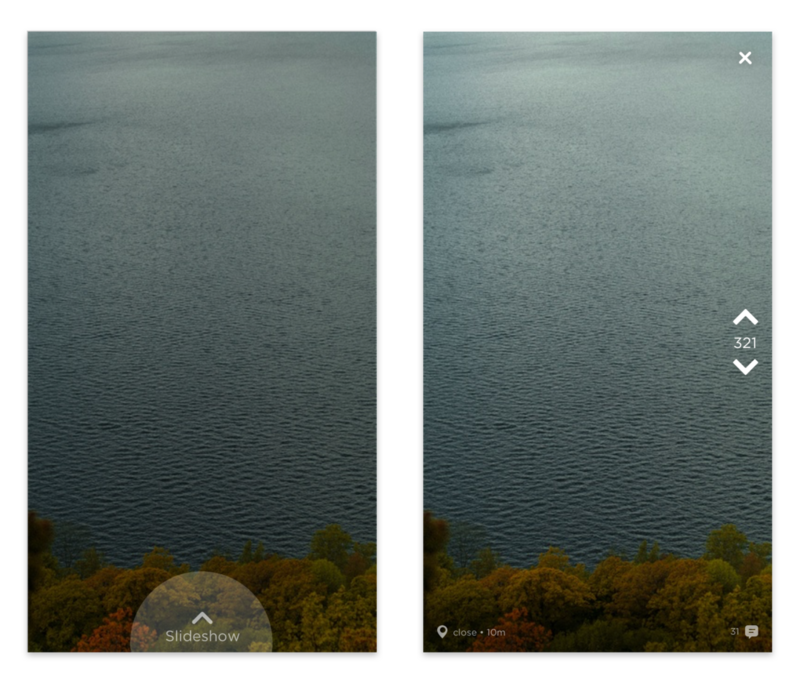 Slideshow is all about letting you enjoy the latest photo Jodels faster and easier. It’s like having eyes all over your city, just a swipe away. The more photos you take on Jodel, the better access to news and instant experiences you provide for your fellow Jodlers. You can access Slideshow by tapping, holding and swiping up at any picture in the main feed. Then just keep swiping to continue viewing more. You can vote on a photo directly from Slideshow, or tap anywhere on the photo to reply or pin the Jodel. To exit Slideshow press the “x” button in the top right corner. With the largest collection of authentic content generated by students out there, we want to make finding what you are most interested in at any given moment, quicker and easier. 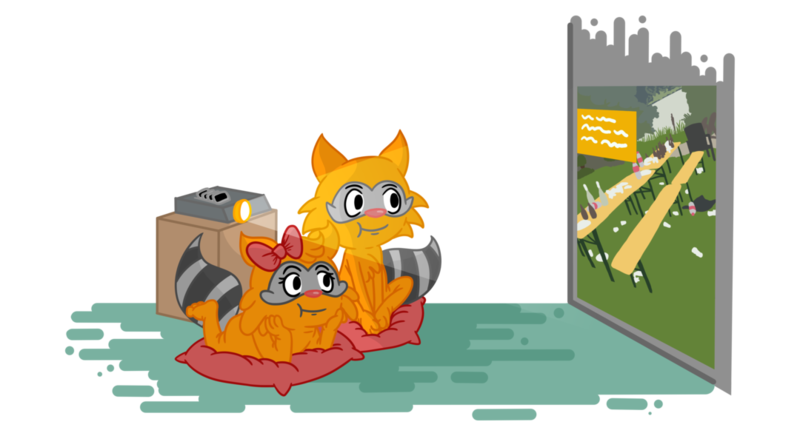 This new feature is another opportunity for you photo loving raccoons to get your amazing pictures to be seen and to reach more eyes. For those of you who just like to be the first to know what’s cooking nearby, it’s a great way to stay on top of your game. Now go try it out and let us know how you like it using #feedback in the Jodel app. Imagine there is a way in each discussion to tell all Jodlers apart, refer to them and directly engage with them! Today we are going to give you a way to carry out more and better conversations, Mark Repliers. From now on, we are not only marking OJ but each and everyone who replies gets assigned a symbol with a different number. Now you can trust to talk to the same person. Trolls will not benefit from this as it is now clear, which comments come from the same Jodler. This way, we continue improving Jodel to let you have even better conversations with students nearby. We hope you enjoy it! Give it a try and let us know how you like it using #feedback in the Jodel app. Jodel is a great place to get help or advice in an instant. To show some love to those who make it that way, we wanted to give OJ a tool to show appreciation. Today we would like to introduce you to Thank A Jodeler. 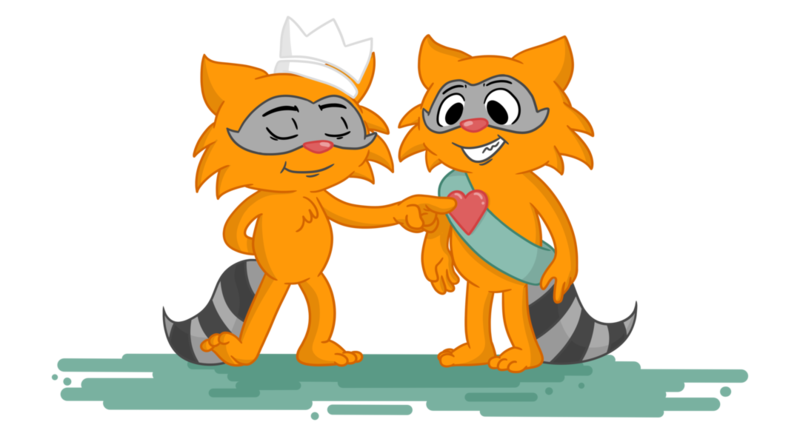 With Thank A Jodeler, OJ can give ❤️ to replies he/she likes or finds very helpful. Thanks are not the same as upvotes. They can only be given by OJ after he/she has upvoted your reply. You will also get a notification for every Thanks you received. 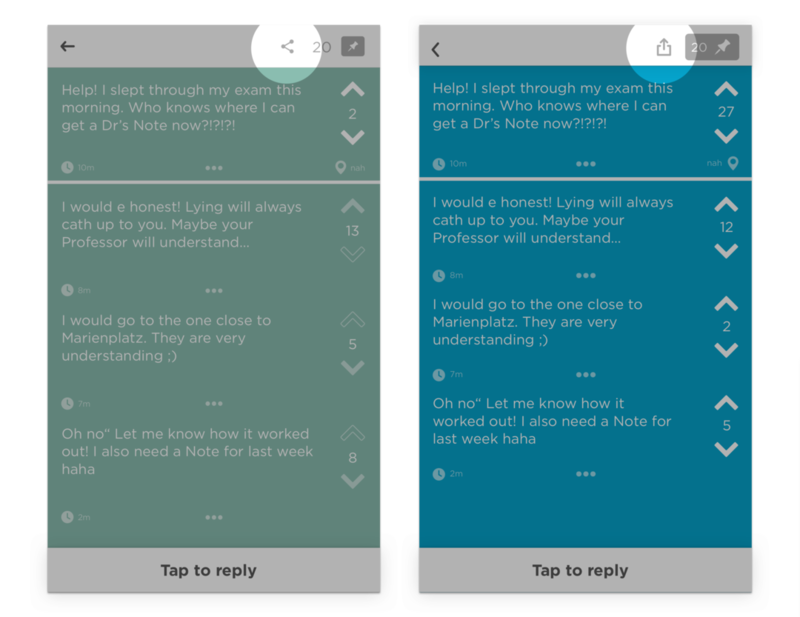 Giving helpful replies now becomes even easier with our quick reply feature! So go ahead and be helpful to one another! And that’s it for today. Stay tuned for more updates coming soon and happy jodeling! As always: Let us know what you think using #feedback in Jodel. When it comes to sharing Jodels, you all are very generous. Some of you even take the effort to screenshot miles long conversations. Since Jodel is all about letting you instantly engage with the community around you, we want to make sharing as easy as possible. 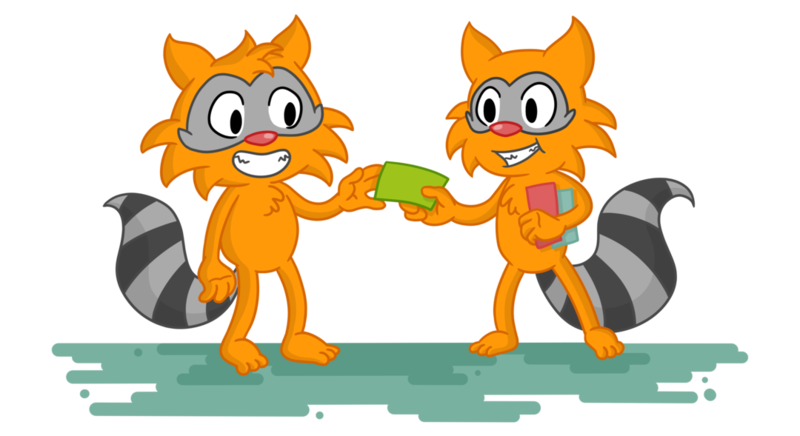 Our mighty developers put their paws together to bring you Share a Jodel! Share a Jodel lets you share an entire Jodel conversation, including its replies, with your friends on all platforms. Just open a Jodel link from your phone and you will be taken straight into the conversation inside the app. On top of that you can also view shared Jodels on a beautifully crafted webpage from your desktop or even on mobile if you do not have the Jodel app installed yet. To make sure conversations stay on a local level only users who receive a Jodel from their location or their hometown can interact with it. Jodels shared from other locations can still be viewed as well as their replies. Make sure you have the latest version of Jodel installed to use this feature. As always: Let us know your opinion on this feature in a Jodel tagged with #shareajodel. For anything else just use #feedback. Stay tuned for more updates and happy jodeling! If you are like us, you probably have dozens of active conversations on Jodel at the same time. But none of those matter if you miss that one reply on a post you have been following for days and now can not find anymore. 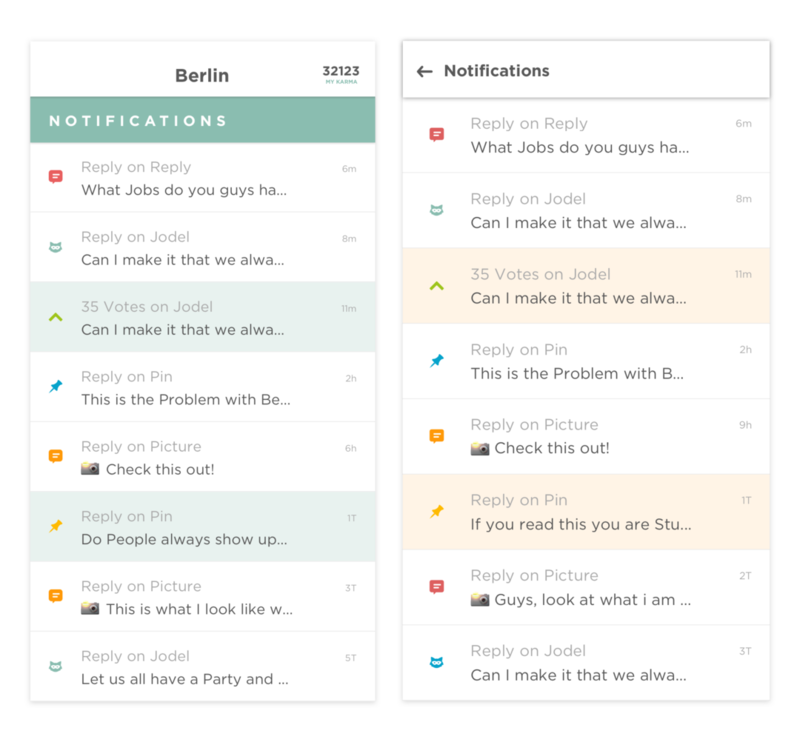 Today we are launching Notification Center, your personal space for recent interactions and real-time updates on new activities. These notifications provide you with all relevant information at a glance. Now it is even easier to keep up with all those awesome conversations with students around you. 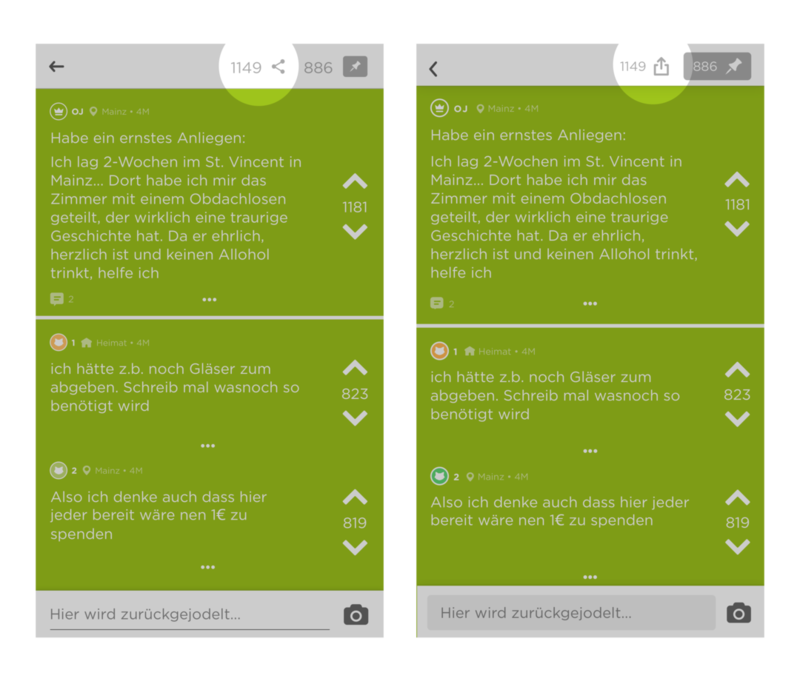 As always: Leave any feedback you have on this feature in a Jodel tagged with #blogNotifications. For anything else, just use #feedback. And that’s it for today, watch out for more updates coming soon and happy jodeling!